The new regulation for reclassification in mutual funds portfolio is leading to some correction and there is going to be a large selling in small cap space. So, valuations of both mid cap and small cap stocks are going to be attractive. 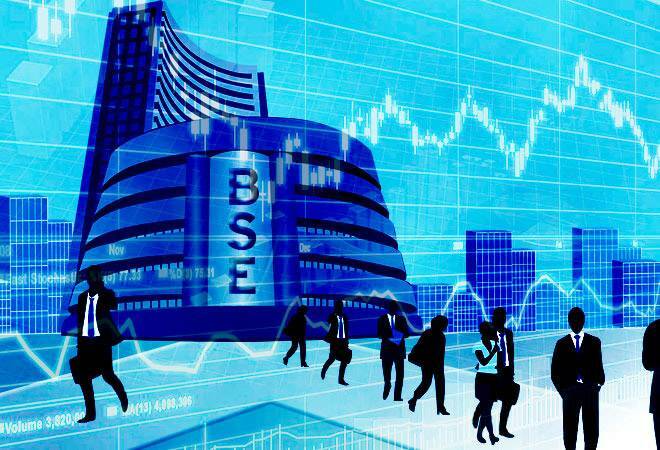 The turmoil in the midcaps and small caps stocks has hit the portfolio of many investors and has made them jittery about the future prospects of these stocks. The volatility is part of the stock market and it makes absolute sense to have some small cap and midcap stocks in our kitty. The new regulation for reclassification in mutual funds portfolio is leading to some correction and there is going to be a large selling in small cap space. So, valuations of both mid cap and small cap stocks are going to be attractive. While there has been some recovery off late in the two indices, they would still take a long time to clock profits for their investors. We look at some of the stock bets in the midcaps and small caps space which can reap profits for investors. APL Apollo Tubes Ltd: The firm makes steel pipes, due to scale economies and distributed manufacturing, it is the lowest cost manufacturer commanding market share that is three times the market share of number two player (Tata, Jindal). With GST implementation APL is in a strong position to grab market share from unorganised players which is 50% of the tube industry. Himadri Speciality Chemical Ltd: It is market leader in its core business of coal tar pitch with almost 70% market share. A new opportunity in the form of advanced carbon materials is also taking shape. It finds applications in lithium Ion batteries. The company could become the lowest cost producer of advanced carbon materials as they are fully backward integrated. MoldTek Packaging Ltd: The firm is into manufacturing of plastic containers used in paint, FMCG and lubricant packaging. They are into IML packaging (In Mould Labelling) which is better than screen printing. FMCG players are adopting this new technology and revenue is growing quite rapidly. They have also set up a plant in Middle East market. The stock is long term consumption play with limited competition. Dilip Buildcon Ltd: The firm is an infrastructure firm which had got a huge contract from National Highways Authority of India (NHAI) in Madhya Prdesh. It involves the construction of road tunnels and Chur hat Bypass. It will definitely catapult DBL to next level giving solid returns. This stock can be held for next 2-3 years. Shree Pushkar Chemicals and Fertilisers Ltd: It is a dye intermediates (DI) manufacturer. They have achieved a status of zero waste plant, they have achieved that by converting effluents into saleable products like fertilizers. The company is expanding backed by orders from MNCs and establishing its own brand. No debt and efficient working capital management will enable free cash flows. Page Industries: The firm holds the exclusive license of Jockey International and they manufacture, distribute the brand in India, Sri Lanka, Bangladesh, Nepal and the UAE. Page Industries is also the exclusive licensee of Speedo International Ltd. for the manufacture, marketing and distribution of the Speedo brand in India. Considering the rapid growth of gym chains and inner ware in India, this stock is bound to give solid returns. Castrol India Limited: It is an automotive and industrial lubricant manufacturing company. Castrol India is the largest manufacturer of automotive and industrial lubricants in the Indian lubricant market and owns around 48% market share in the overall Indian lubricant market. It's part of Castrol Limited UK. It has five manufacturing plants that are networked with 270 distributors, serving over 70,000 retail outlets. Exide Industries: The firm is a storage battery producing company and a life insurance company in India. It manufactures automotive and industrial lead acid batteries. It has plants in India and Sri Lanka. They are leader in packaged power technology, they have captured the domestic market and export to European markets and South East Asian market. 4. Nilkamal: This company is engaged in the manufacturing of plastic products and retail sales. Nilkamal's key business segments include plastics, injection-moulded plastic articles, polymers and others; lifestyle furniture, furnishings & accessories, which include home furniture, home furnishing and accessories. The company's planned investment in 10 new products in the Mono-block and value-added segments like plastic storage/non mono-block category and strategy to expand presence in northern and western India will help it to stay ahead of competition and improve market share. Bharat Electronics: Analysts believe that Bharat Electronics should perform better in the coming years because of its increased order inflows. The company has received orders worth Rs 16,300 crore during 2016-17, taking its order book to an all-time high of Rs 40,000 crore-around 4.8-times its 2016-17 revenue. Orders it received in 2016-17 include Electronic Warfare Suite, Hand Held Thermal Imager and 3D Tactical Control Radar. Being the country's largest defence electronics equipment manufacturer, Bharat Electronics will also benefit from the shift in the defence equipment from normal hardware to electronic hardware and software. Around 50%-60% of the new capital expenditure by the defence forces is on this segment.